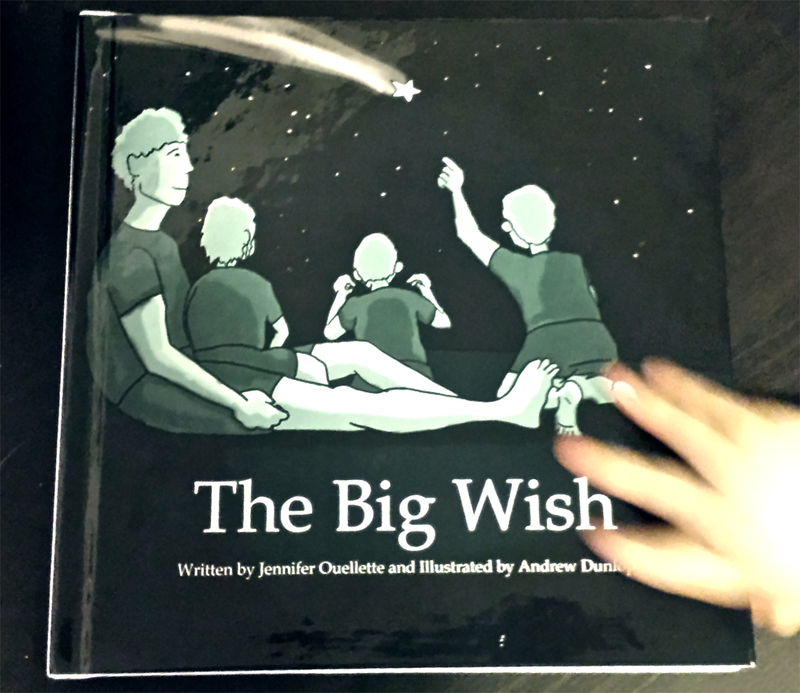 My wife and I worked together to create a storybook titled, “The Big Wish,” as a Christmas gift last year. Jenn wrote the story (no easy feat — writing children’s fiction) and I illustrated it afterwards. We had it bound together by elephoto.ca. The story is about My son, Harrison, and his two cousins Lucas and Lilah. The three kids wish for a big adventure one evening and discover items from their personal quilts come to life the following day. As you can see from the pic above, my son can barely keep his hands off of it.